Rainbow Children are extremely sensitive and incredibly psychic! They were born with infinite and endless wisdom along with the skills to change the world around them. 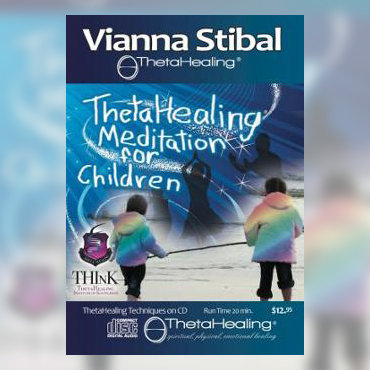 This is what our Rainbow Children have been waiting for, and believed to be an incredible and easy way for our children to connect with the Creator of All That Is and this meditative energy of ThetaHealing®. Vianna has also had Guy record a few of his Native American drummings that are very heart felt and fun to follow along with. Guy learned these Native American drummings in sweat lodges and dedicated to spiritual awareness and becoming one with the Creator of All That Is. 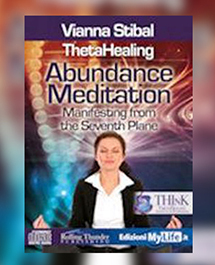 ThetaHealing® Abundance Meditation Manifesting From the Seventh Plane Allow 1-2 business days for your order to process. All orders shipped from the US. 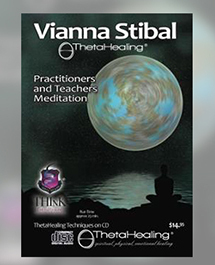 On this Practitioners and Teachers Manifesting CD Vianna will share with you her secrets to a successful practice in Reading's, Healing's, Seminars or what ever your heart desires to be a success! Vianna has been channeling this information and manifesting what she's needed for years and believes being connected to the Energy of all that is and truly imagining in detail what it is you want, Will be key to a successful manifestation or healing. 1. Manifesting for Clients and Students. Manifesting for Clients and Students is Viannas gift to everyone having a little trouble filling appointments or classes. This is the same Technique Vianna has used for almost two decades, proven to work again and again for others and for herself. She will walk you through a relaxing yet powerful technique that has already changed thousands of people's lives all over the World! 2. Improving Readings and Seminars. This is more of a lecture with some inspiring thoughts and simple suggestions from Vianna, when stuck on some of the most common obstacles of Client Readings or Student Seminars! This is a very intuitive and insightful lecture designed to aid Practitioners and Teachers in all areas of there practices. Remember with The Creator Of All That Is and Faith too Believe in something greater than our selves and connecting to this energy moving through all things, all things are possible! Allow 1-2 business days for your order to process. All orders shipped from the US. This is a very Unique CD because it gives you the guidance you need when Manifesting Health, Soul Mates, or anything else your heart desires in just a few short meditative minutes as needed. Vianna will walk through several different Techniques that are gentle and easy to understand while showing your subconscious how to achieve what it wants! Vianna has been channeling this information and manifesting what she's needed for years and believes being connected to the Energy of all that is and truly imagining in detail what it is you want, Will be key to a successful manifestation or healing. 1. Manifesting Health and Enlightenment from the 7th Plane of Existence. Manifesting from the 7th Plane of Existence is how you achieve Co-Created Instant Healings and Answers for yourself and or your clients, When working with different issues surrounding the human body, mind and soul. This is also the energy you can come to when seeking answers or advice if feeling lost or alone. 2. Manifesting for a Soul Mate. Manifesting for a soul mate isn't just bringing your most compatible soul mate to you, but experiencing how to love your current partner again too. 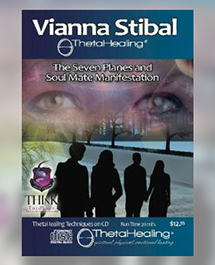 In this meditation, Vianna will guide you up through the universe, helping you bring forth and create someone who will cherish and adore you, while staying connected to the Creator Of All That Is. Remember connecting to The Creator Of All That Is and Faith too Believe in something greater than our selves all things are possible. Allow 1-2 business days for your order to process. All orders shipped from the US.